Chris, Jeff and I all went to the same school to work in our respective Master’s programs back in the early 2000’s. Our studies were challenging and we enjoyed our learning experience. Jeff went on to earn a Ph.D in Leadership Studies at a fine school on the Mid-Atlantic seaboard. Those pursuing a Doctor of Philosophy degree spend a lot of time in books and writing, like their counterparts in the medical and legal professions, to name just two disciplines. Some time later, Chris and Jeff got together—reflecting on their educational journeys. Their conversation went along these lines. There is gold here. And it is this. There is no substitute for putting in your time and paces to earn a high degree/platform or income. 10,000 hour rule again. One could fairly apply the 19th century label of “snake oil” to a lot of get-rich-quick schemes and thinking that so many of us gravitate to to make as much money in as little time with as little effort as possible. We cheat ourselves when we do this. Self-deception is delicious but it bites hard in the end. Do you love work or loathe it, seeking to avoid it if at all possible? If you loathe your work, what can you do to change your approach to it? Perhaps cultivate a new field of work, a new discipline? 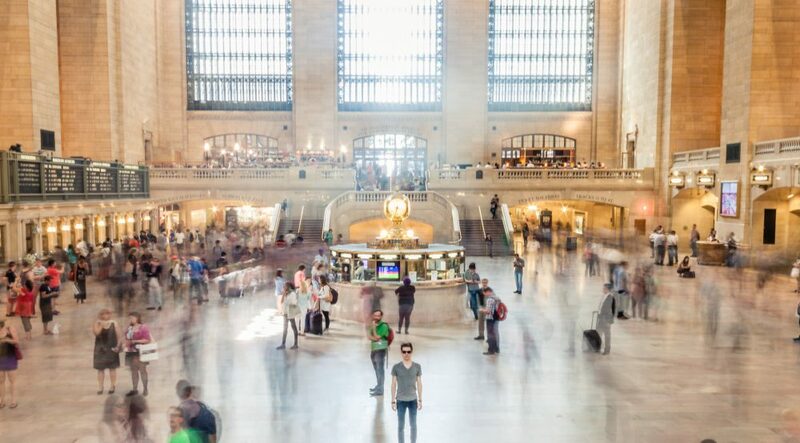 Are you aware of the genius/talent discussion embodied in the “10,000 hour rule” and the Edisonian maxim, “genius is one percent inspiration and ninety-nine percent perspiration?” As a counter to the rule read here. 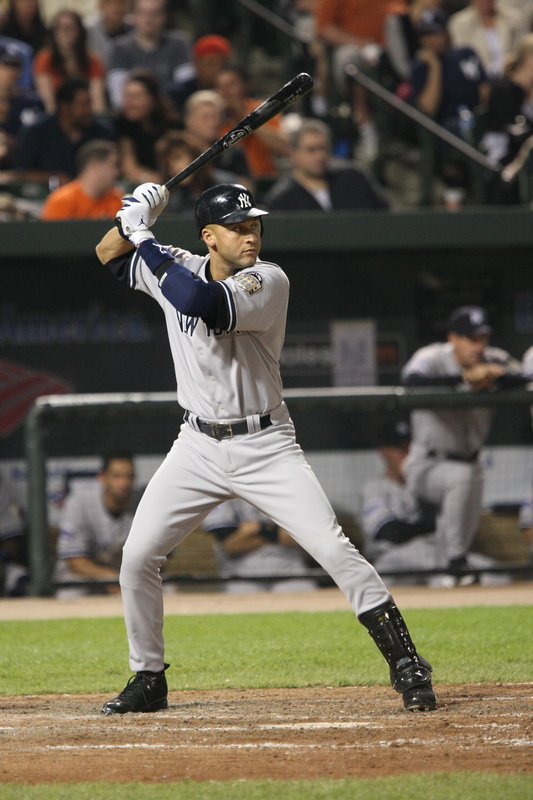 Derek Jeter, throughout a stellar career in Major League Baseball that has spanned eighteen seasons, gets a hit—on average—only three times for every ten at-bats. And he is destined for induction in the Hall of Fame, probably the first ballot, five years after he retires. Michael Jordan, arguably the greatest basketball player to step onto an NBA court, has missed more shots than he’s taken. That’s an admission out of his own mouth and a matter of statistical fact. And he’s Michael Jordan—a Hall of Famer and the standard by which professional hoopsters are judged. Thomas Edison had over a thousand failures before he perfected the incandescent light bulb. He kept at it until he got it right. None of us is perfect. We are all uneven performers in every conceivable area of life. And yet we are capable of excellence and being outstanding in those things to which we put our hands. Think about that. Failed recently? Join the club. You are not a god and neither am I. We are uneven often, perhaps most of the time. But we keep at it. We don’t stop trying. We double down and give better effort and evaluate failure points as well as those times where we succeeded. Okay now—no self-pity. Don’t take yourself too seriously. Bruised egos are not fatal by any means. Get back on that horse and charge! Life is many things to all of us. For some, it’s an adventure. For others, it is wonder and fascination. For all of us, in one way or another, it is a journey. And for all of us, though we are not all equally aware of it, life is a fight…combat…warfare. One key to winning in life is to remind oneself that for every human being, life is a great battlefield. For America’s finest, it is the War on Terror. For others, perhaps a conflict for something good and noble in the face of evil and tyranny. For some of us, the war for ideas in the political, economic or ecclesiastical arenas. And all of us, in one way or another, must fight daily for our hearts. Discouragement is not the only foe that seeks to silence the heart of man. Mediocrity ranks up there as well, as does failure. Remember this: A Hall of Fame baseball player does well at bat only 35% of the time. Failure is never fatal unless you agree to let it be. 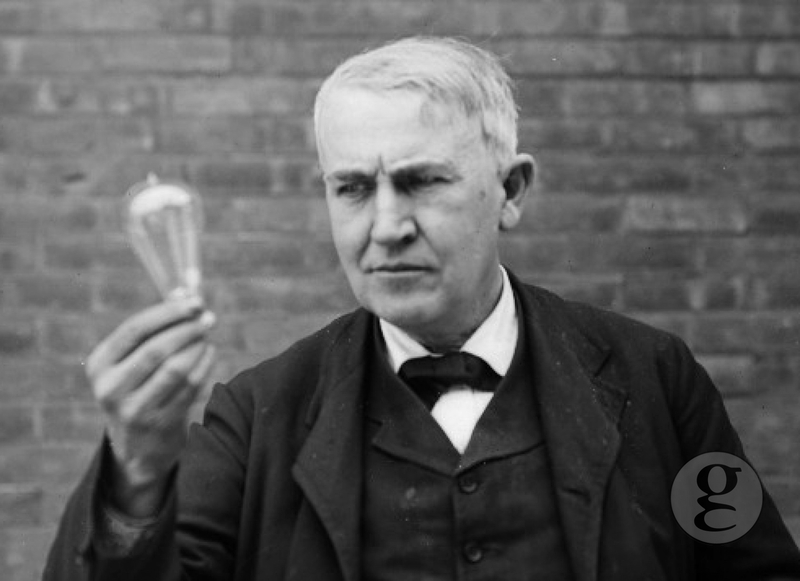 Thomas Edison had hundreds of such failures before he perfected the incandescent light bulb. President Abraham Lincoln suffered numerous defeats before ascending the halls of power in Congress and, ultimately, the White House. You may have lost the skirmish but the war is not over. Far from it. 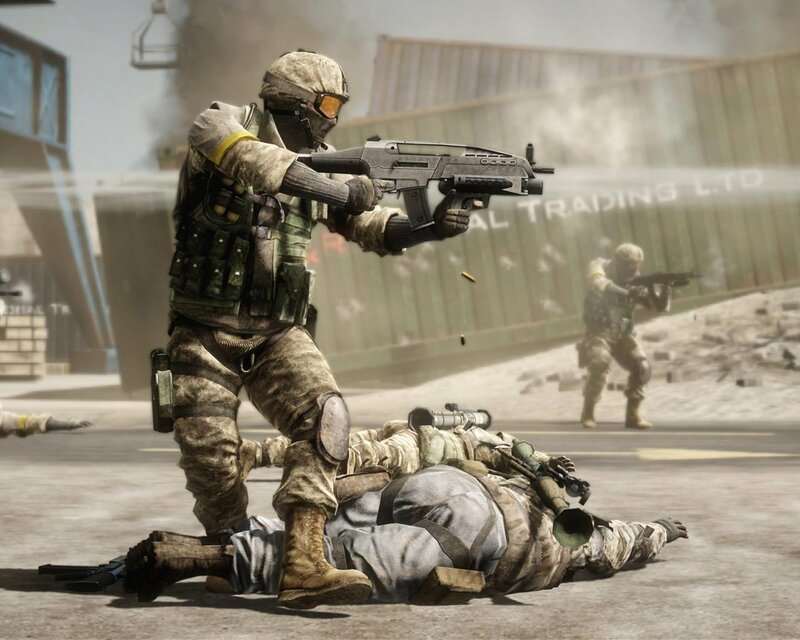 Pick yourself up, dust your uniform and plunge into the battle once again. These timeless words of Shakespeare will give you pluck and resolve. That those whom you call’d fathers did beget you. Keep fighting, soldier. People are depending on you. 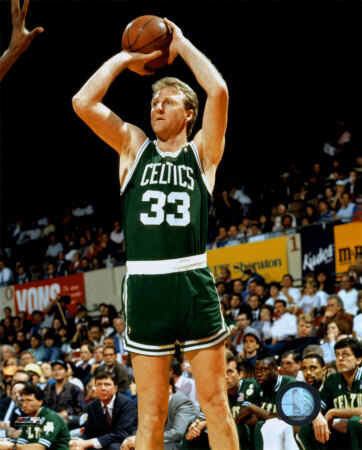 In 1979, Hall of Fame standout Larry Bird first broke into the NBA, the beginning of a long and spectacular career with the Boston Celtics. Larry had a practice regimen that he faithfully observed throughout his career. He would arrive at the venue at least two hours before game time and, with the help of a ball boy, shoot baskets. Over and over. Before every single game. Larry said that through hard work and self-discipline, he was able to go farther in his career than other guys who had better natural gifts but didn’t work hard developing their talents. Though Bird was tall (6’9”), he couldn’t run or jump well. But he could outshoot and outthink his opponents. This he did time and time again. We all come into life with certain aptitudes, advantages and challenges. What we do with what we’ve been given determine the kinds of lives we make for ourselves. Quality and success in life do not come automatically. You may have superior intelligence, even brilliance. But if you neglect the hard work of study, learning, practice and productivity, your potential will remain unfulfilled. That doctor, attorney, theologian, financial analyst, software engineer, or Grammy Award-winning musician inside you does not emerge automatically. Some years ago a friend of mine was working on his Ph.D in Leadership Studies. When asked what types of students earn their doctorates (versus those who don’t), he remarked, “The Einsteins wash out.” Why? “Because you can’t outsmart the work.” That was the secret of Thomas Edison’s genius. “It’s plain hard work that does it.” I especially am keeping this in mind as I’m going back to graduate school in January to finish my Master’s degree. Similarly, you may have come into life with health problems in your family tree. Those challenges do not have to define or limit your life. You may have obesity, heart disease or high blood pressure in your family line but their effects are not necessarily inevitable. Again, it takes work—the hard but fruitful work of exercising, eating carefully, avoiding unhealthy behaviors and stuff. Life is what we make it. It’s a canvas to paint on. 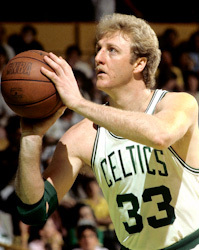 Like Larry Bird, with hard work and self-discipline, we can take modest giftings, even disadvantages and turn them into a Hall of Fame life. Life is many things to all of us. Adventure. Journey. Wonder. One key to winning in life is to remind oneself that for every human being, life is often a great battlefield. 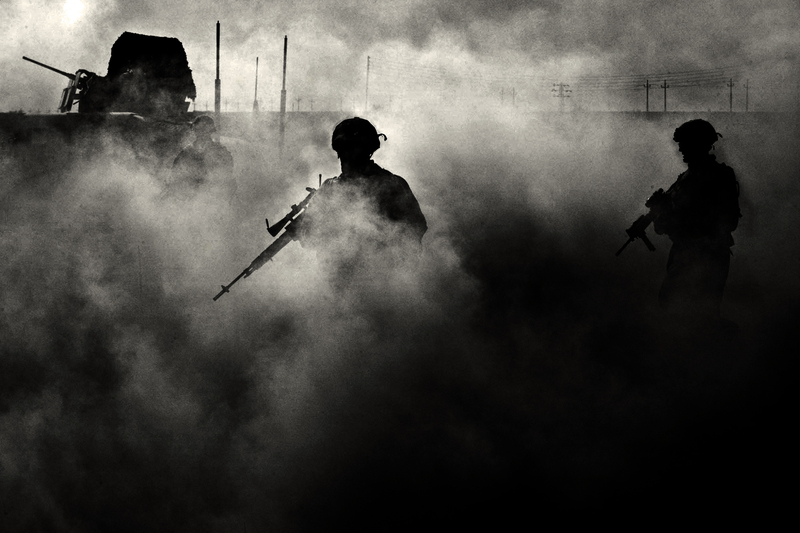 For America’s finest, it is the War on Terror. For others, perhaps a conflict for something good and noble in the face of evil and tyranny. For some of us, the war for ideas in the political, economic or ecclesiastical arenas. And all of us, in one way or another, must fight daily for our hearts. We all come into life with certain aptitudes, advantages and challenges. What we do with what we’ve been given determine the kinds of lives we make for ourselves. Quality and success in life do not come automatically. You may have superior intelligence, even brilliance. But if you neglect the hard work of study, learning, practice and productivity, your potential will remain unfulfilled. That doctor, attorney, financial analyst, software engineer, or Grammy Award winning musician inside you does not emerge automatically.